n order to legally operate a commercial vehicle, the Department of Transportation (DOT) requires drivers to undergo physical examinations to determine their ability to safely operate a commercial vehicle. 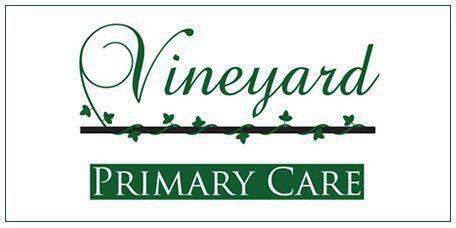 At Vineyard Primary Care, in Owensboro, Kentucky, Nurse Practitioner Christina Wilkerson is a Certified Medical Examiner and can administer your DOT physical to maintain your eligibility and keep you on the job. Don’t miss a day of work. Call for your physical appointment today. What is tested during a DOT physical? What happens if a medical issue is revealed during the physical? If she determines that one of your issues may impair your ability to drive a commercial vehicle she may have you visit a specialist for further testing. If you do not pass every aspect of the physical you will not receive your medical card and you will be unable to drive commercially until you test again and pass. Your examiner will inform you about where you need to improve and Nurse Practitioner Christina Wilkerson, or Dr. Luckett may be able to advise you as to how to improve your condition and prepare for your next test. How can I prepare for my DOT physical? As a commercial driver your health is crucial to protect your safety and the safety of others on the road. Maintaining a healthy diet and weight will go far to protecting your health and your license. If you are in shape and still have some difficulties with vision or hearing, be proactive and get the glasses or aids you need before your license is suspended due to a failed physical. The income you lose could be far greater than the cost of your aids. There is little tolerance for drugs and alcohol in DOT testing. You just can’t take the risk because tests are getting better and something you did a month ago could still show up on your test to fail you today. Work with Nurse Practitioner Christina Wilkerson and Dr. Luckett to ensure you pass the test or make the changes necessary to pass on your second try and get back on the job as quickly as possible.